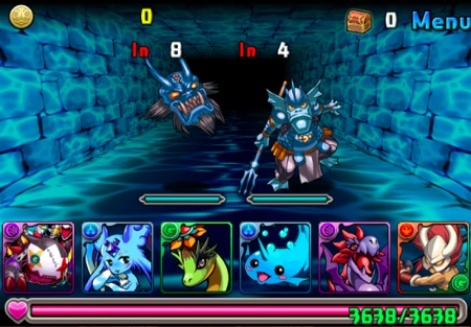 GungHo Online's billion-dollar baby Puzzle & Dragonshas reached the heights that few games can ever dream of hitting. In the 25 months since its release in Japan, Puzzle & Dragons has racked up an impressive 25 million downloads in its home territory through a combination of clever gameplay, high-profile collaborations, and a successful TV commercial campaign. On the other side of the Pacific, however, Puzzle & Dragons has got off to not unexpectedly slower start, having just crossed north of the 3 million downloads this month. Pocket Gamer: Puzzle & Dragons just hit 3 million users in North America, how does this number compare to your projections? Jun Iwasaki: North America, well - this is just the beginning. Last year, we reached one million users in eight or nine months after launch. But, at that time, we didn't have any collaborations or aggressive advertisements in place. This year, we aggressively spent a lot of money on ad networks and collaboration - like the Batman collaboration, which was quite big. We have more collaborations planned for this year. I believe we can reach double or triple the 3 million downloads we currently have. So, three million is really just the midpoint for us and isn't the end goal.